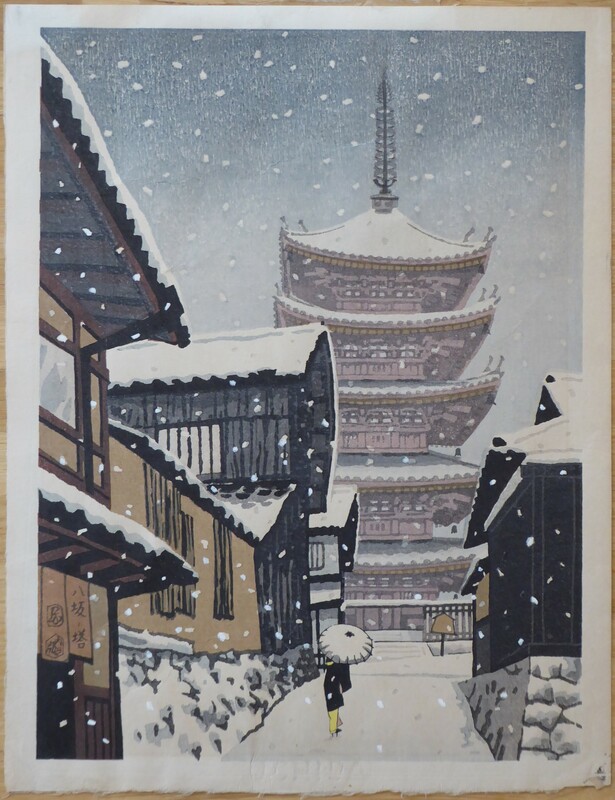 Subject to my knowledge is Yasaka in Winter and Maeda Masao did a similar print. But I'm unsure about the signature on the left of the title. Thanks for your help.